On Friday, November 25, the UBC men's basketball team took on the University of Victoria Vikes on the road en route to their fifth win of the season. Two days later, the Thunderbirds played the Vikes at home, once again getting the better of Victoria. 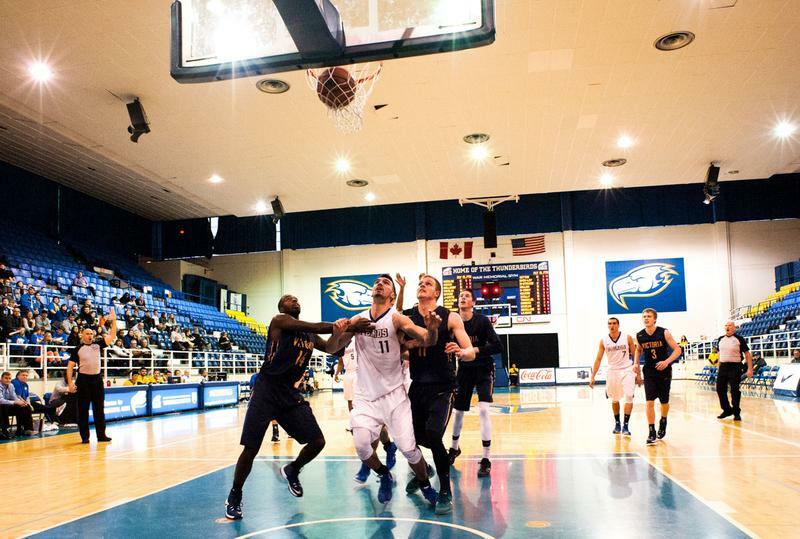 The ’Birds won the contest 93-89 in overtime on Sunday, and are currently second in Canada West behind Alberta. Victoria led UBC in plenty of categories. The Vikes shot 44.6 per cent from the field, while the ’Birds were 39.7 per cent. Victoria was also more efficient behind the arc, converting seven of their attempted 22 three-pointers, while the ’Birds made 10 of the 33 shots they took from the three-point line. Additionally, Victoria made more free throws than the T-Birds. UBC had more bench points at 24 compared to 18 from Victoria, 23 points off of turnovers compared to 15 from Victoria, and were tied with Vikes with 30 points inside the paint. UBC has played six games so far, while Canada West leader Alberta has played eight. Both teams have not lost a game in the season thus far. The ’Birds will look to carry the winning streak when they face the UBC Heat on Friday, December 2 at home.